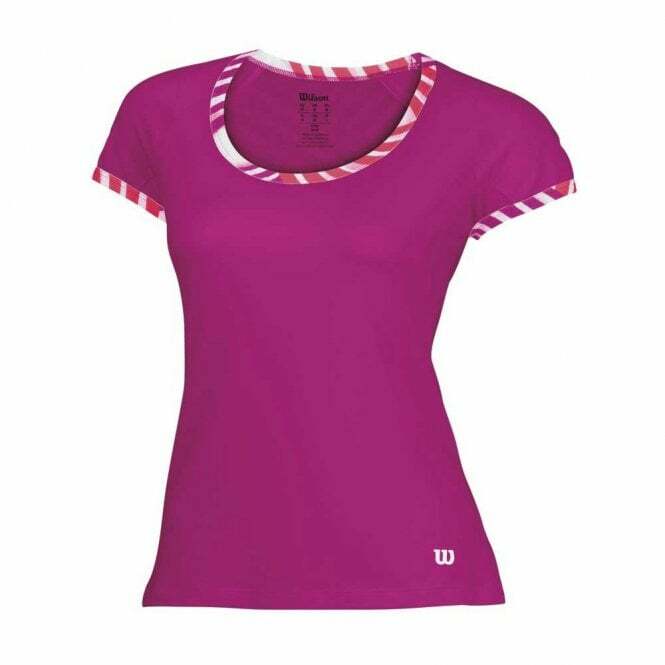 This Wilson womens tulip cap sleeve top is from their 2015 range. 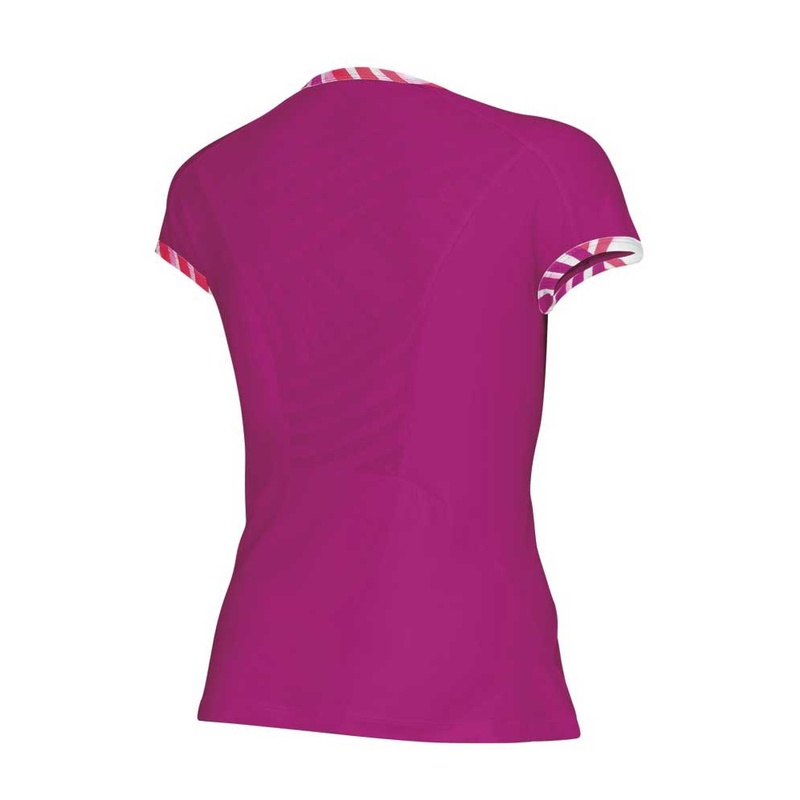 Sleek, sporty and feminine describe this spring top. 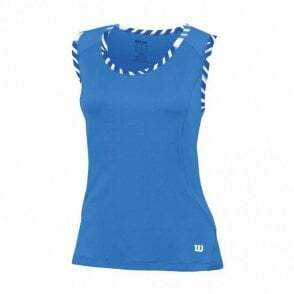 The spandex knit blend provides a just-right fit for full range of movement while watercolor piping at the neckline and sleeve. 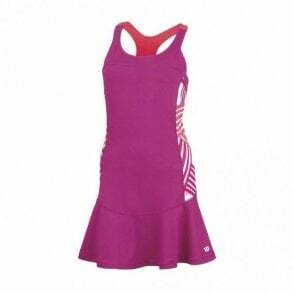 Wilson tulip cap sleeve top for ladies in Fiesta Pink colour with a scoop neck fitting, designed as sports clothing whatever your sport such as tennis, badminton, squash or racketball.